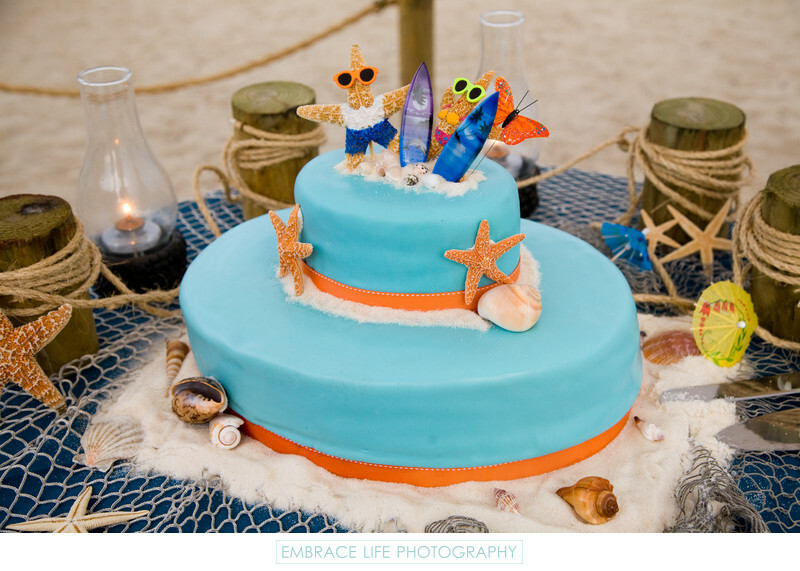 This cute and fun beach theme wedding cake is covered in a beautiful turquoise fondant, trimmed with coral ribbon and sugar made to look like sand, seashells and starfish, including starfish cake toppers wearing sunglasses and holding surfboards. Even the table itself carries the theme with a navy blue linen covered in a fishing net and nautical candles between wooden posts tied with rope. Keywords: Details (1125), Food and Drink (150), Reception (396), Wedding (1437).